We pray for those who are only just keeping their faith alive, those whose hope has run dry and those who have fallen into despair. Enfold them into your safe keeping, unburden them of regrets and worries. May there be tangible signs to believe again in the things invisible, in shoots of hope. Amen. We greatly appreciate the contribution of £250,000 made by the Heritage Lottery Fund to our recently completed Raise the Roof project. This contribution was instrumental in enabling us to fund the £420,00 restoration of the church roof, and the installation of a kitchen servery. As a result we are planning a programme of concerts and other events and look forward to welcoming you at one of them very soon. 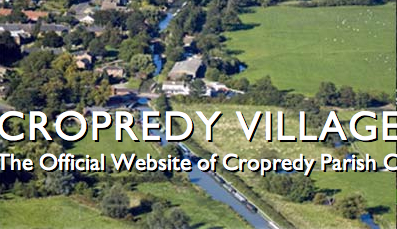 Visitors and residents will all be familiar with the view of Cropredy, nestling in the valley, the church tower at its centre, which greets them when returning from their travels both near and far. It never fails to lift the spirits at the thought that this wonderful place is home, even if it’s just for a weekend. It has sat at the heart of the village, and both church and village have a long and rich history. Many residents past and present will have memories of major family events which have happened here. 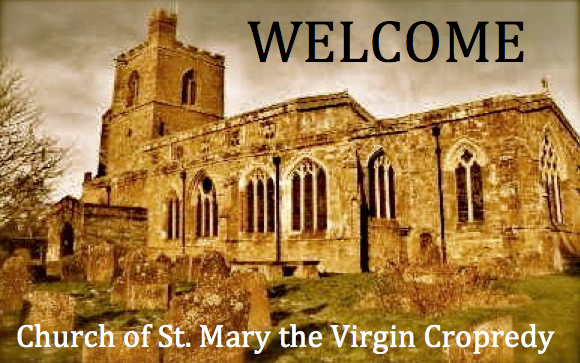 Visitors return again and again, drawn to the village by the Festival, the Civil War links, canal travel; always finding time to visit and enjoy St. Mary’s so the news that the Church of St. Mary the Virgin was a building at risk was of great concern to all. 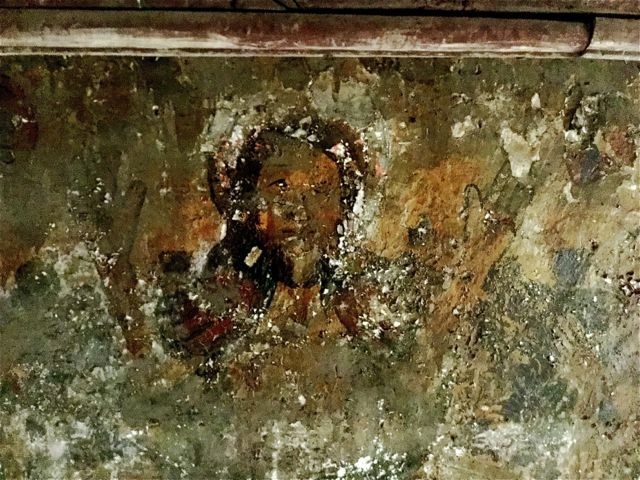 An inspection carried out by our church architect identified serious problems with the ancient lead roof. These had led to water penetration under extreme conditions, and the situation was only getting worse if not dealt with it would have lead to damage to our fine medieval timber roof, unique interior features and ultimately the stonework itself. St Mary’s Church Cropredy, is a Grade I listed building, which has been in continuous use for worship for centuries. The need to carry out a complete re-roofing of St. Mary’s, and repair and replace some of the rainwater drains in line with English Heritage specifications resulted in costs well beyond the means of existing church funds. We were delighted, therefore, to receive a grant from the Heritage Lottery Fund, however, this did not cover the whole cost of the project. To meet Heritage Lottery Fund requirements we also carried out some work to improve amenities in the church thereby extending the range of activities we can host there. This continues to be complemented by a programme of activities to bring together all ages and groups from across the community. 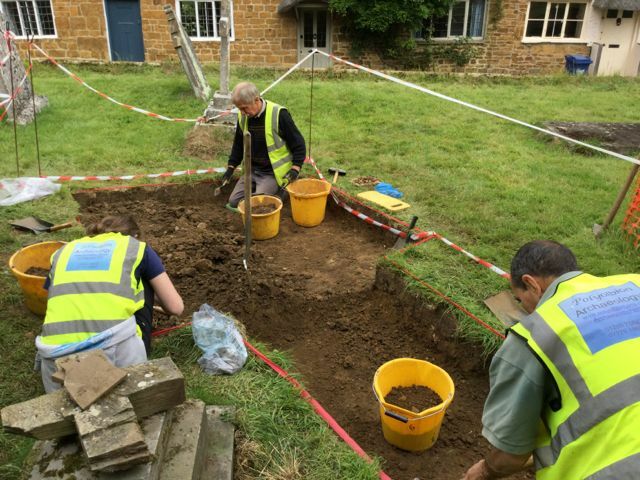 A major part of the community engagement with the project was the excavation of two trenches through the churchyard so that water pipes could be laid. Work was also done to record details of medieval timber roof. This 'dig diary' records what happened with the archaeology as well as much of the building work that went on. The 'Doom' Painting. Not every church has one and ours is important. You read about how we were able to access it and see the summary of the detailed technical report we had written for us. 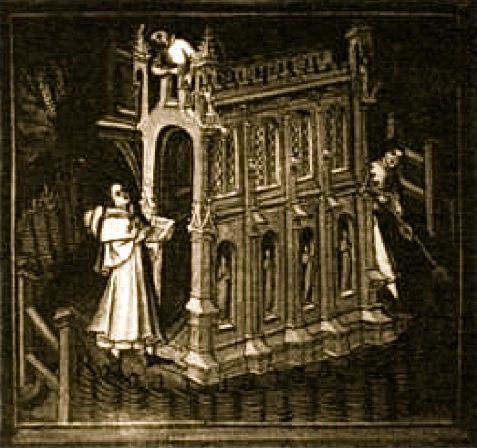 The Feast of St. Fremond. Not every church has its own Saxon saint but we have important connections with his legend and its likely that his relics were (maybe some still are) buried in Cropredy. Each year we celebrate his life, even if it was a legendary one, with a special service as close to May 14th., his feast day, as we can manage then every other year we hold a promenade performance of a play in verse about his life accompanied by a small medieval fair to get everyone in the mood. You can read the legend here. During the course of the work the opportunity was taken to improve out understanding on the natural environment associated with the churchyard. 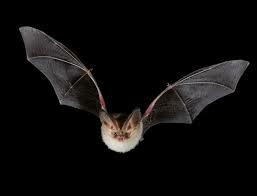 much of this has concentrated on bats but we have swift friendly plans too. The contractor for the work on the church was the Leicester based firm of Norman and Underwood. We were able to organize a parish outing to watch our lead being melted down and recast before returning to Cropredy. 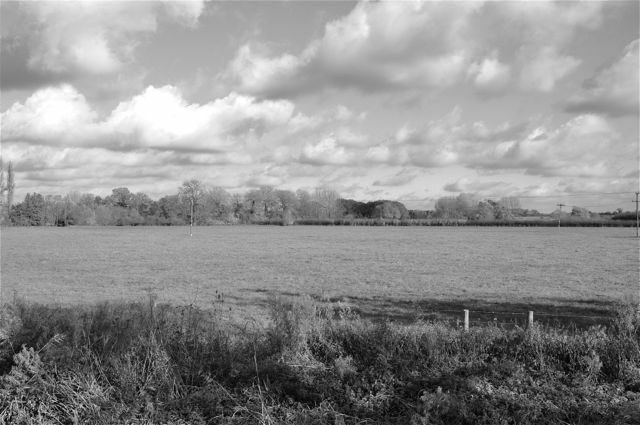 Prescote is a small all but deserted hamlet just to the north of Cropredy and we believe that it played an important part if the early development of a Christian community in the area. You can read about some early archaeological investigations into the site that took place back in 1997. More is planned for the future. The Battle of Cropredy Bridge fought in 1644 as part of the English Civil war is well known. Less well known is the very curious collections of relics in Cropredy Church said to have been found on the battlefield. One of the early tasks that our archaeologist undertook was an analysis of these remains. What he discovered was a little surprising. 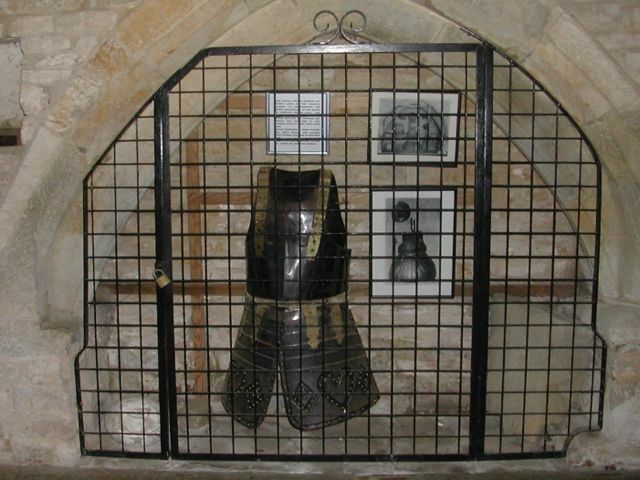 We plan to display the weapons together with the suit of replica armour we were given to replace the original one that was stolen. Polyolbion Archaeology gave its services for free, you can read more about the other work it does and follow a link to another HLF church project at Wormleighton. One the ways in which we have tried to establish a context for the work on the church was by having discussions with the members of the Cropredy Historical Society. An early meeting to kick start the process was based on the idea of a few outstanding questions about the village and how we could go about answering them.